Providence is a contemporary fireplace design influenced by traditional design that is fitting for almost any style home. 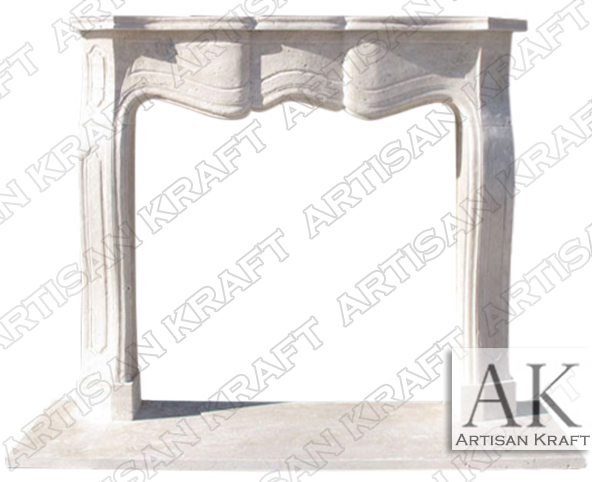 Carved from travertine this beautiful design has soft curves and orderly lines that give it a contemporary design. Providence profile sets it apart from other Louis styles. Something different from more elaborate French designs. Providence works in a modern home as well as a baroque style home. Stone: GFRC, limestone, cast stone, limestone, sandstone, marble etc. Available in many different colors, textures and finishes.